I can squeeze in another Christmas-themed post before the big day, right? 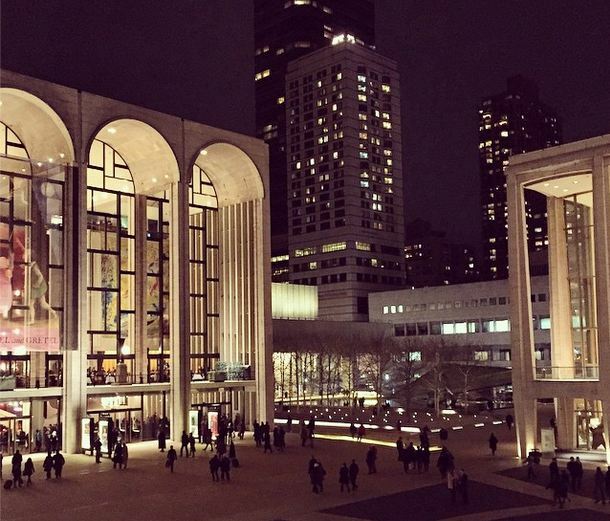 Good – because a few weeks ago, after an endless stream of guests, Ryan treated me to a surprise #datenight for just the two of us: a visit to the New York City Ballet’s Nutcracker. I’ve only been to the ballet once before (when I got in Queen Latifah’s way), but he remembered how I had been itching to go to the Nutcracker, a Christmas classic I’ve actually never seen. We headed to the Lincoln Center, where we admired the square from the balcony, a drink in hand. There’s something so magical about the grand glass buildings, the fountain and the lights, dotted with the silhouettes of visitors. The show, famously choreographed by George Balanchine, is just as fun and mesmerizing as I’d expected. And it was amazing to hear music I know so well (Tschaikovsky’s tunes are on loop in stores right now) in its original setting. There were prancing mice, marching soldiers and a Christmas tree that grows and grows to a monstrous size. 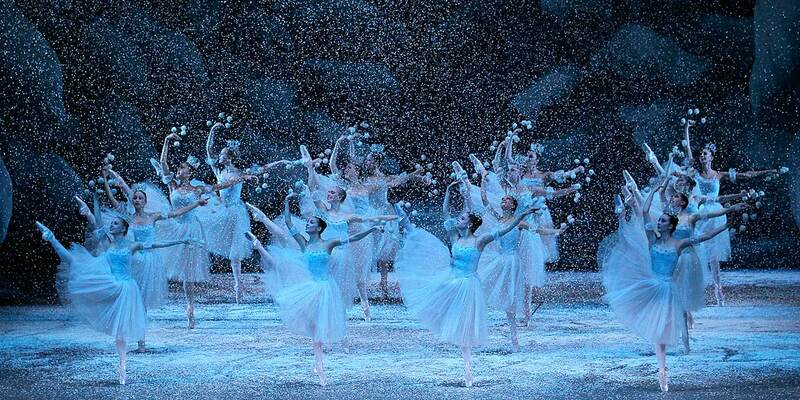 In the first half, we watch a family’s Christmas Eve party where the Nutcracker is brought to life, but the second half is far more exciting: glitzy costumes, different genres and a chance for the adult dancers to take center stage. I was so surprised at just how central kids were to the production – they were on stage far more than the adults, and I was so impressed with how professional they were. I’m not kidding when I say I honestly have no idea how they do this every night after their bedtimes. I was also pretty surprised with how short the production was (the first act is 50 minutes, the second is 40), and after they flew away into the sky and the curtain fell, I was like: ‘Erm, is there another act?’ No one around us seemed that sure, either. Still, leaving wanting more is not a problem… and it’ll no doubt make me itch to get back next year, too. Maybe we can make this a Christmas tradition, Ryan? 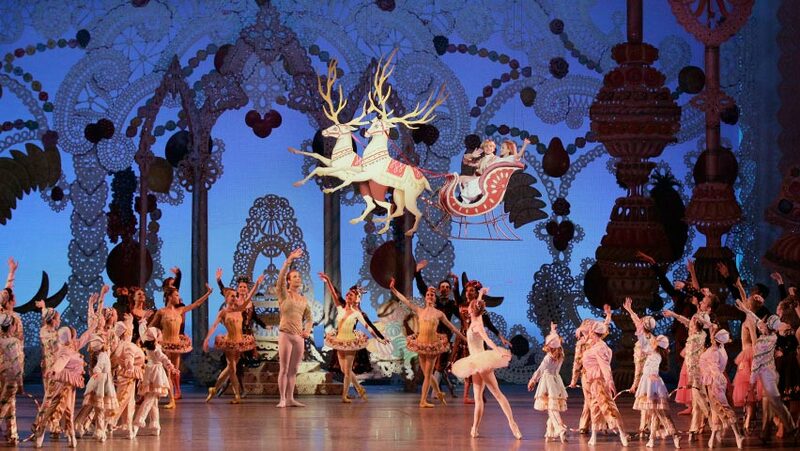 The Nutcracker by the NYCB runs until January 3 at the Lincoln Center. More info here. I have never been to the ballet, must put it on my wish list.